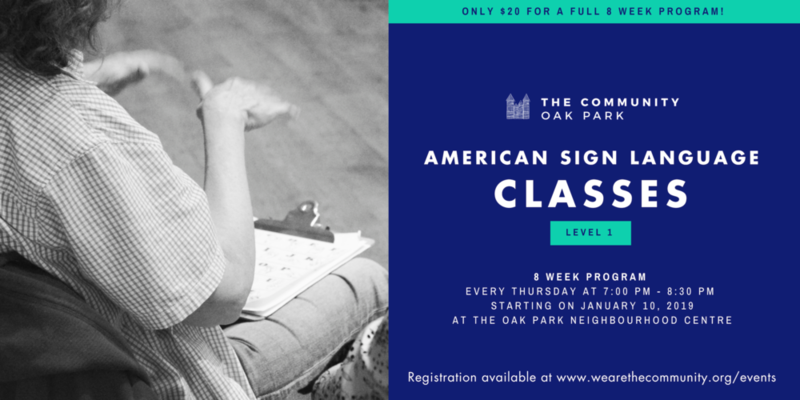 Join the Community Oak Park for Level 2 American Sign Language classes! This is an 8 week program that will run every Thursday evening from January 10th- February 28th. Cost: We are kindly asking for a minimum donation of $20 for the full 8 week program. Please Note: This is a mixed abilities class! No prior knowledge of ASL is required. Funding for this program is provided by the Ministry of Children, Community and Social Services. We are supported by our partners: The Oak Park Neighbourhood Centre and Community Living Oakville.